Janssen has filed its psoriasis injection guselkumab in the US, one of a crop of new drugs it hopes will each exceed $1 billion in sales. 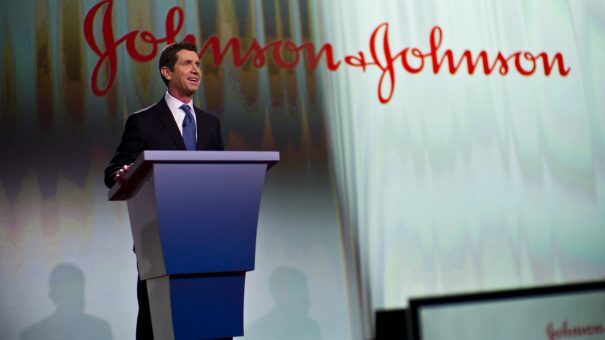 The Johnson & Johnson unit is seeking approval for guselkumab, a human monoclonal antibody targeting interleukin (IL)-23, in adults with moderate to severe plaque psoriasis. J&J said it plans to file 10 potential blockbuster drugs, including guselkumab, by 2019. The filing is based on data from three phase 3 studies one phase 2 study. Data from the phase 3 VOYAGE 1 have already been presented at the European Academy of Dermatology and Venereology congress. This data showed guselkumab, with an eight-weekly dosing schedule, was better than placebo, and AbbVie’s huge-selling Humira (adalimumab) in plaque psoriasis. Data from the phase 2 X-PLORE study have appeared in the New England Journal of Medicine, and results from the late stage VOYAGE 2 and NAVIGATE studies will be presented at upcoming conferences. Humira, with sales of more than $14 billion in 2015, looks likely to come under attack from several fronts. Next generation drugs such as guselkumab, and GlaxoSmithKline/J&J’s sirukumab and others in rheumatoid arthritis, aim to steal sales on the basis of superior efficacy, while other manufacturers are hoping to compete on price with cheaper biosimilar copycats. However competition is fierce – Novartis’ Cosentyx (sekukinumab) psoriasis drug, is on track to become a blockbuster following launch last year, as is Celgene’s Otezla (apremilast).